Before explanation of the issue faced by taxpayers due to open due date of GSTR -6 and resolution let us go through the basic requirement of filings and meaning of open due date. 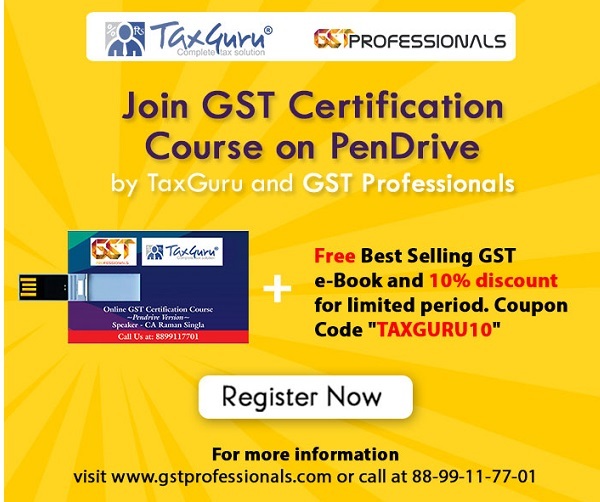 GSTR-1 is the Return of outward Supplies to be filed by the Suppliers of Goods or Services who are registered as a Regular Taxpayer and GSTR-6 is the Return of Input Service Distributor (ISD) to be filed by the Registered ISD taxpayer for distribution of Input Service tax credit to the units which are part of the Same Legal entity (having Common PAN). As per the Original Return filing process the due date of filing of GSTR-1 was 10th of next month, while the due date of filing GSTR-6 was 13th of next month. The reason of keeping these due dates was that the Supplier of Services will file his GSTR-1 on 10th of next month and freeze his position so that the ISD can get the details of such filed data via Get GSTR 6A (Auto-drafted ISD Return) and do reconciliation with ISD Inward supplies of services for Creation and filing of GSTR-6. Above mentioned process was just a defined process and not a reality. Currently the due date of GSTR-1 is 10th of next to next month; e.g. For Feb,18 tax period due date was 10th April,18. While the due date for GSTR-6 from July, 17 to March,18 is 31st May,18. What does Open due date of GSTR-6 means? It means that GSTR-6 for the Month of July,17 to March,18 can be filed at any point of time starting from 1st April,18 onwards. Now this open due date has become an issue, let us explain you how taxpayers are facing issues in filing GSTR-1 due to this. As explained above the ISD taxpayer does the reconciliation by doing Get GSTR-6A and comparing it with their purchase inward supplies data. Based on this ISD gives responses of Accept/Reject/Modified/Pending or can add new records while it’s GSTR-6. Error of “Invoice or CR/DR already filed by a counter-party” was observed by many of the taxpayers while filing the GSTR-1 of Tax period Feb,18 (Due date 10th April,18). The reason of getting this error was that GSTR-6 is filed by ISD by doing addition of records which were yet to be filed of GSTR-1 for Feb,18 tax period. Point to be noted here is that this error was observed at the time of filing of GSTR-1 not at the time of uploading the invoices at the time of Creation of GSTR-1. The upcoming due date of filing of GSTR 1 for the month of March, 18 is 10th of May,18 ; while the filing of GSTR-6 for March,18 in some cases would have already been happened and as per GST government portal there is a requirement is to provide the responses of Accept/Reject/Modify/Pending and ISD GSTIN has a facility to do addition of the missed records as well. This is leading to generation of GSTR 1 (Uploaded by Receiver Section) of the Supplier wherever Counterparty ISD GSTIN (Receiver) has done Modification/Rejection or Addition of records. It is recommended to follow the above steps to resolve this issue and in parallel taxpayers should request Counter-party ISD taxpayers to file their GSTR-6 after due date of GSTR-1 of the particular tax period. 1. if we don’t do reconciliation for GSTR6 than what are the effects? 2. Why is reconciliation important for GSTR6?